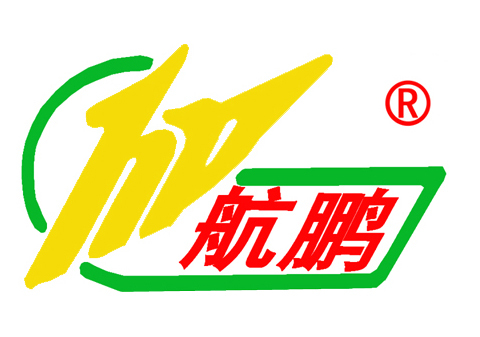 9YRSHenan Huatai Cereals And Oils Machinery Co., Ltd.
Henan Huatai Cereals and Oils Machinery Co., Ltd., formerly Henan Huaxian Grain Machine Factory.We are a large scale oil machinery manufacturer integrating research, development, design, manufacture and installation,listed in China New Three Board. 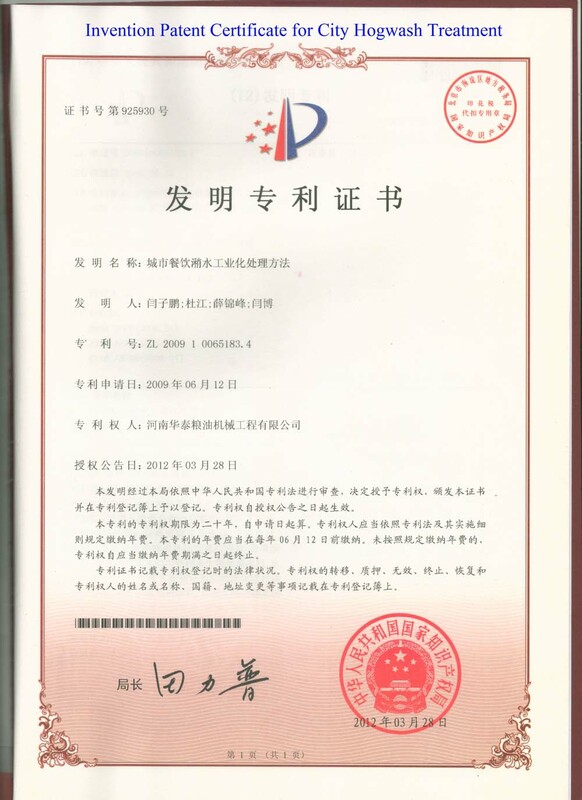 Our factory covers an area of 10 hectares, with total investment 60 million dollars,with annual output value of USD50,000,000, We 210 senior engineering technicians among 580 staff members, 8 production workshops (21600m2), 2 machining workshops,12 installation teams.We have 120 sets of automatic processing equipment,such as plasma cutting machine, welding machine,lathes,milling machine, planing machine, shearing machine, rolling machine,etc.We are also outstanding membership corporate of Chinese Cereals and Oils Association and provincial enterprise abiding by contracts and keeping promises.We are also awarded "High growth private enterprise" and "Provincial enterprise technology center"by Henan Provincial Government. 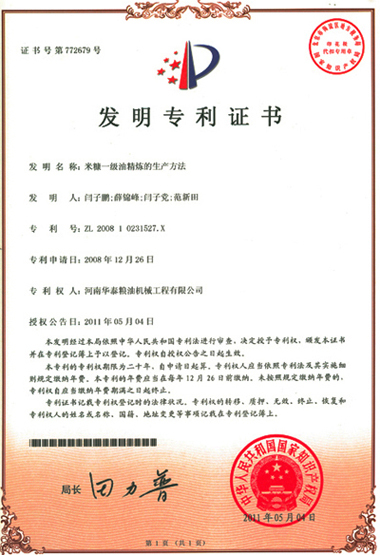 We have obtained "Design License of Pressure Vessel", "Manufacture License of Pressure Vessel","Design License of Pressure Pipeline","Installation License of Pressure Pipeline" and "Manufacture License of Organic Heat Carrier Furnace", issued by General Administration of Quality Supervision, Inspection and Quarantine.We have self-supported import and export right and has passed ISO9001:2015 Quality Management System Certification,SGS and CE certification. 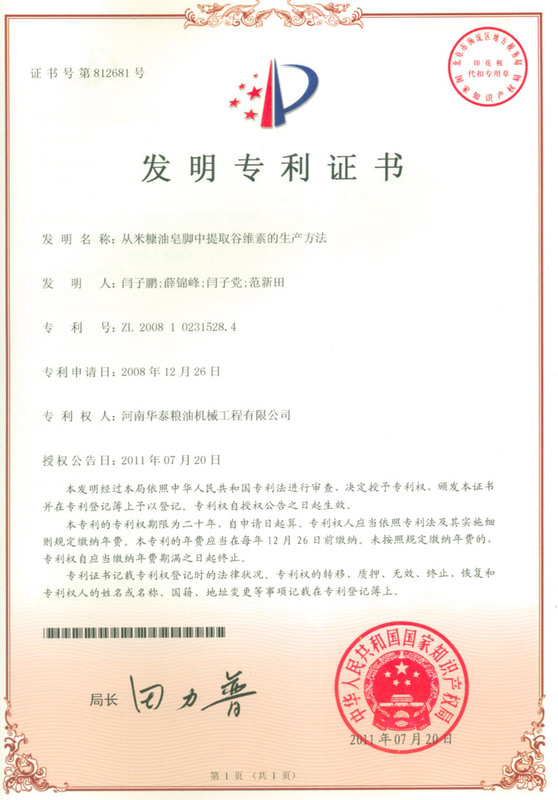 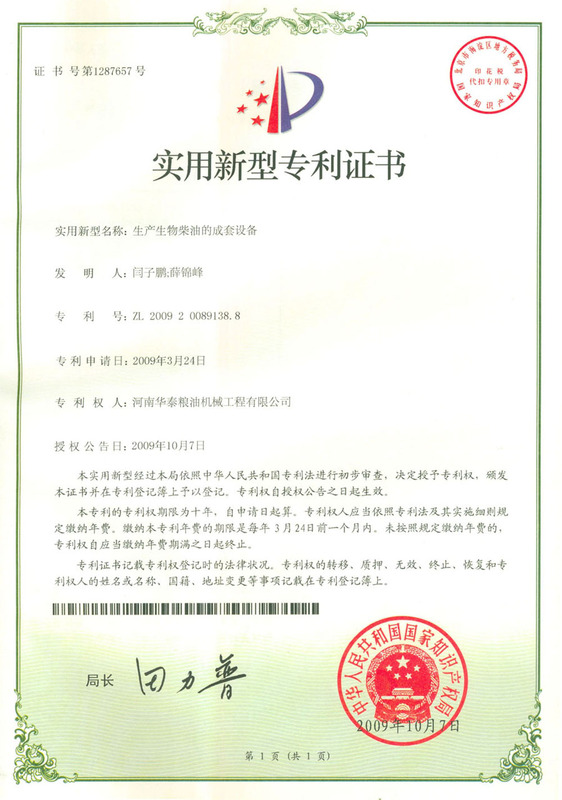 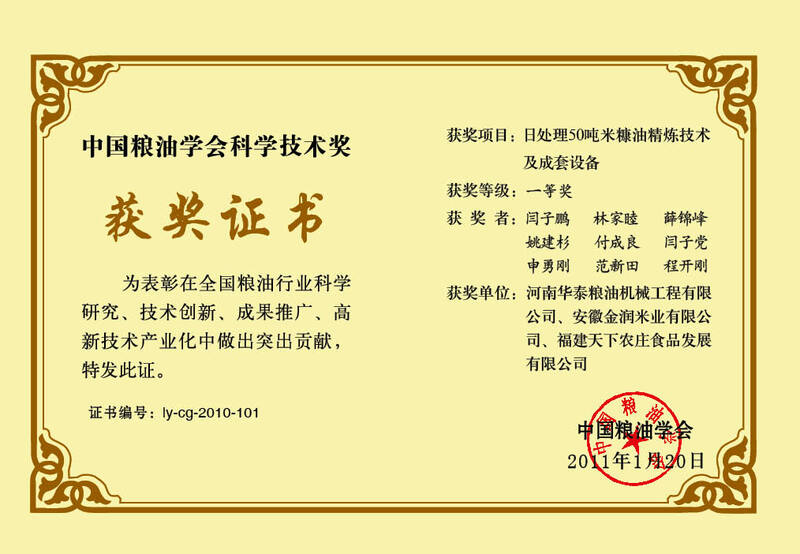 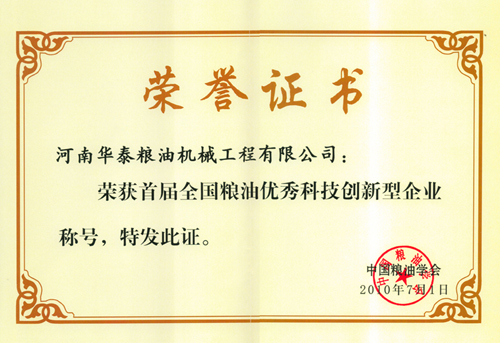 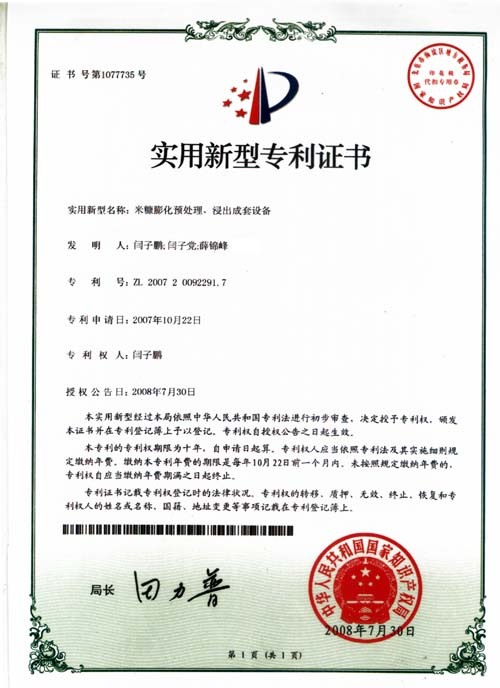 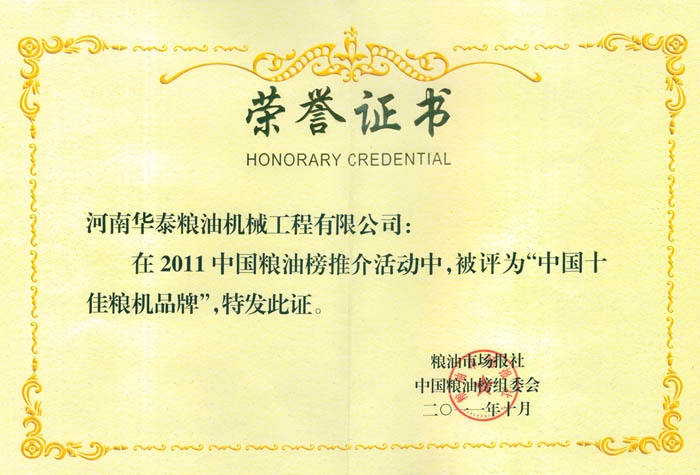 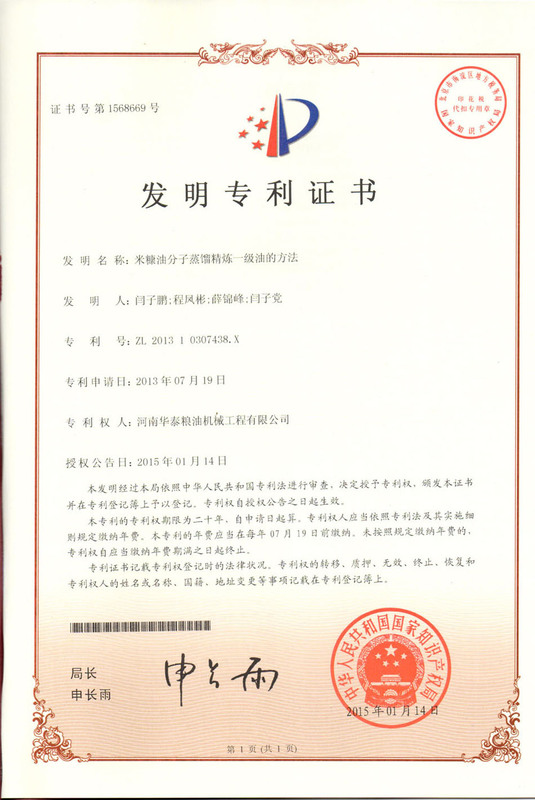 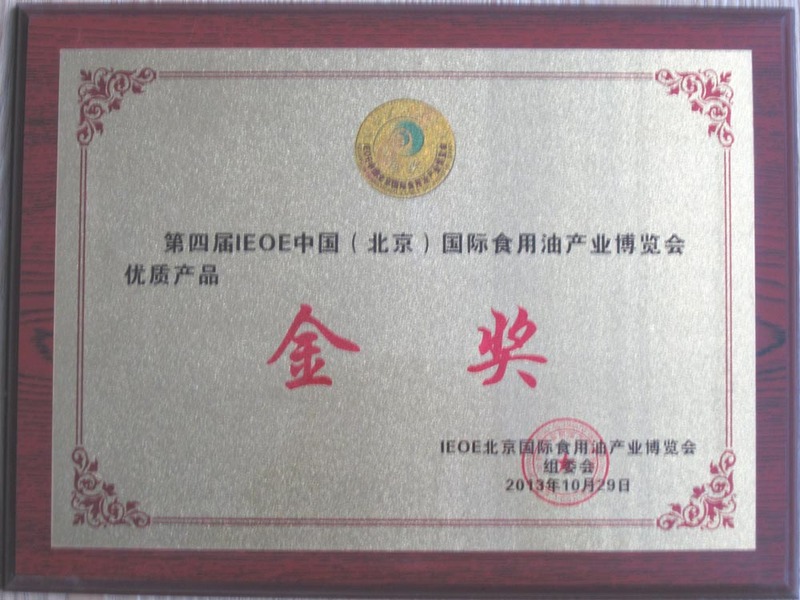 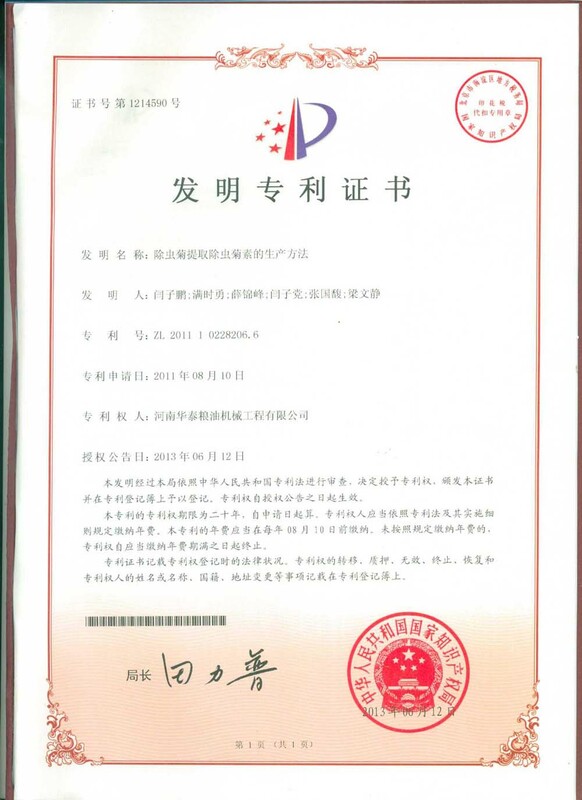 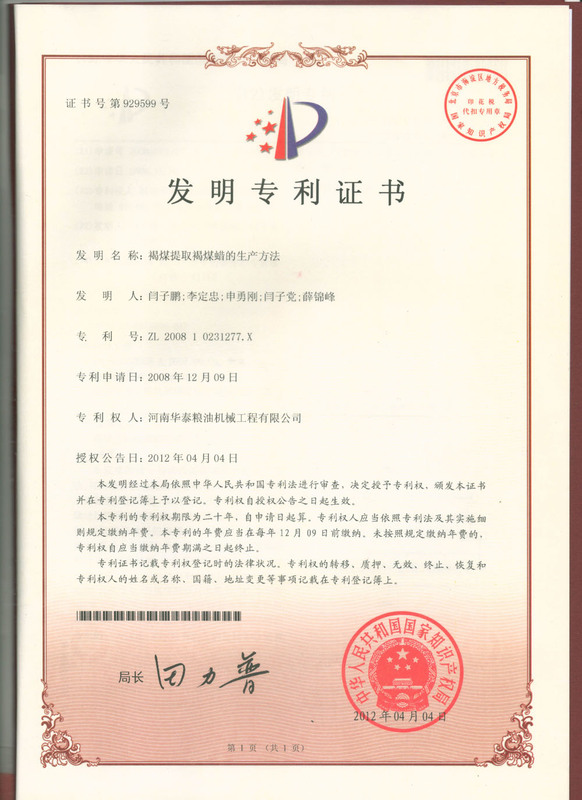 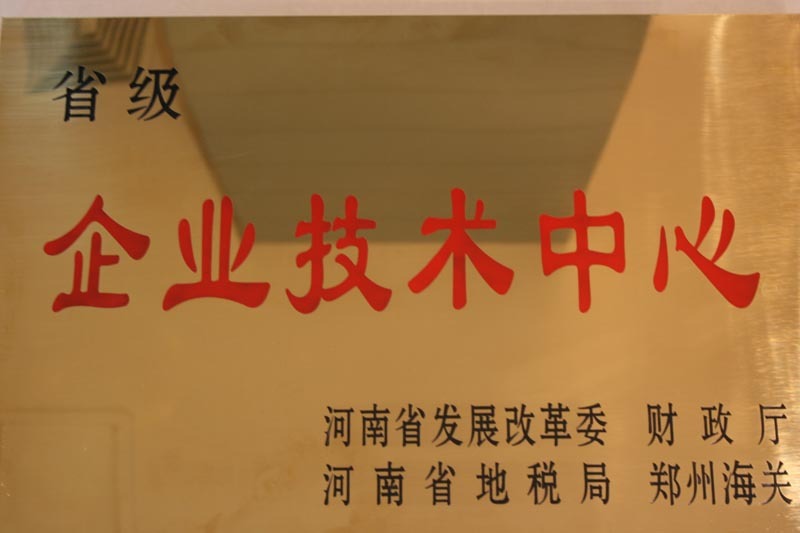 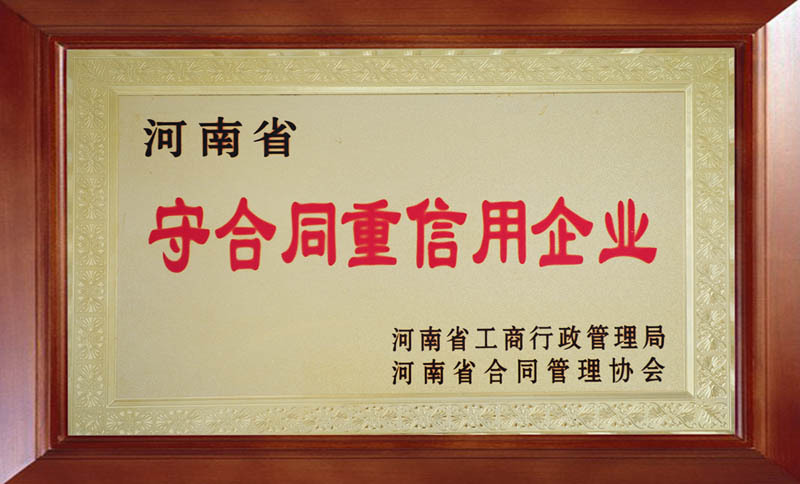 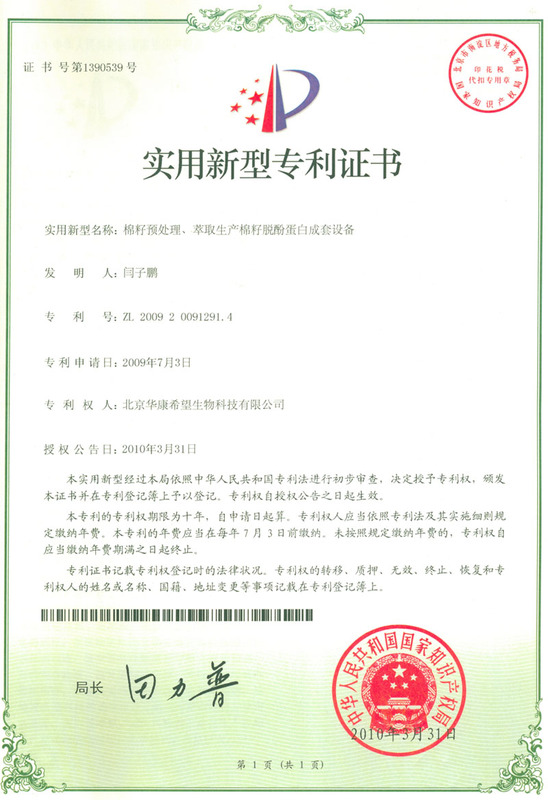 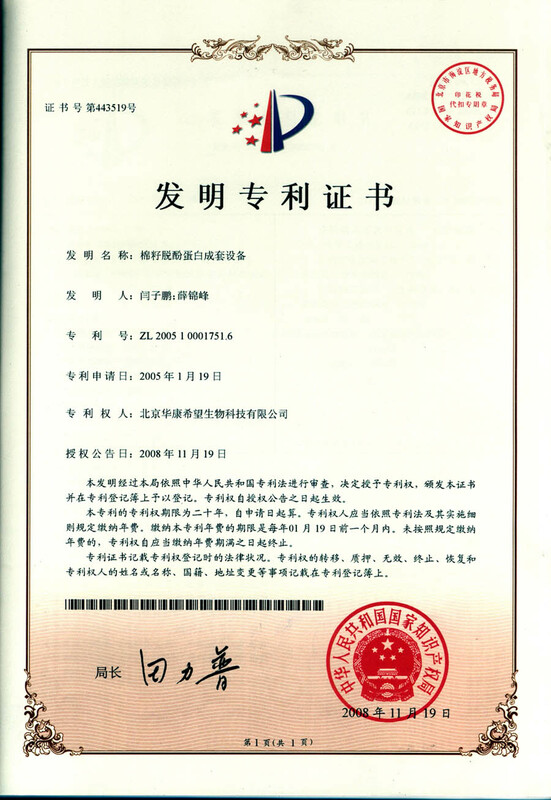 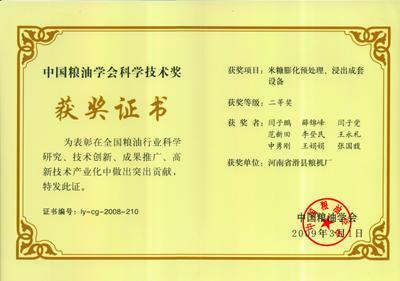 Registered trademarks"Huatai" and "Hangpeng" won Henan provincial famous brand,and was awarded "Provincial outstanding quality products"by Henan Bureau of Quality and Technical Supervision.We have successfully obtained 29 national patents (including 9 invention patents), 6 international awards, 4 national awards and 2 provincial awards. 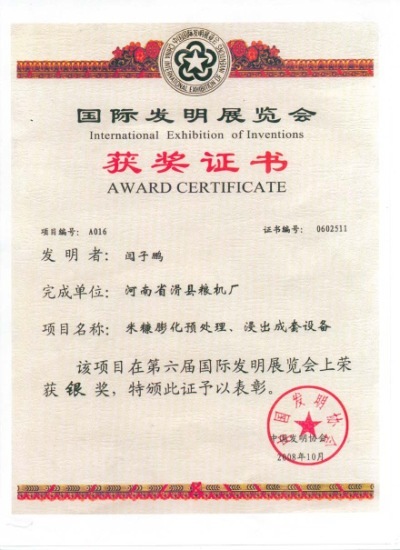 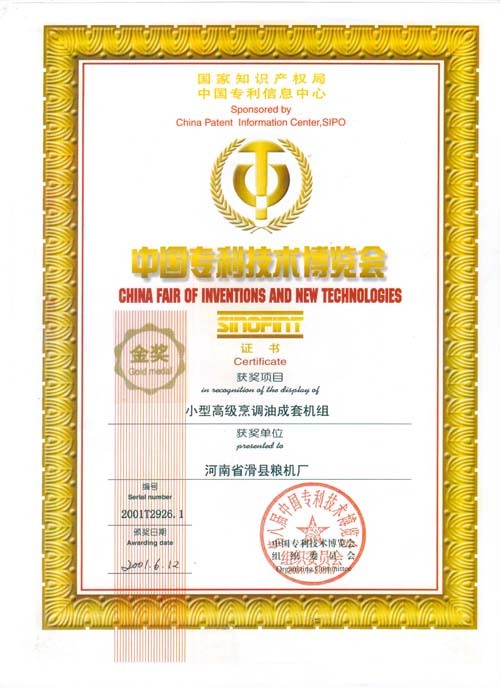 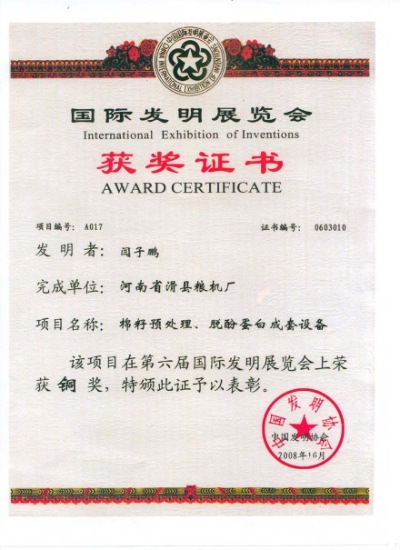 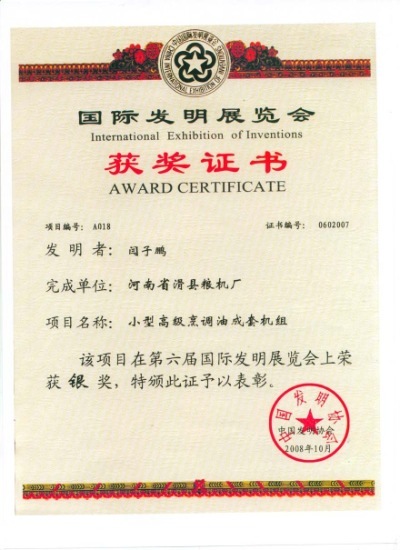 Patented cottonseed dephenolization protein equipment won the third Award of National Science and Technology Progress in 2007, and won Silver Medal on the sixth International Inventions Exhibition. 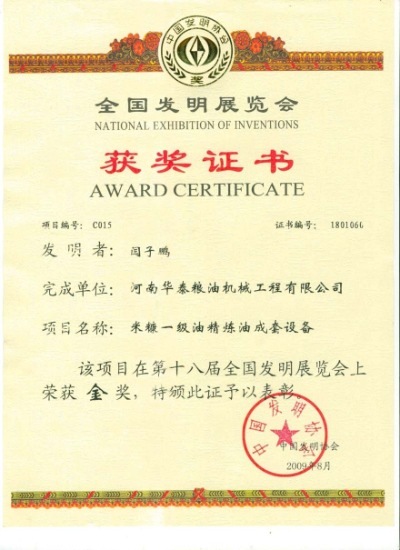 Patented rice bran expanding and extraction equipment won Henan Provincial Scientific Achievement Award, and won the second Award of National Science and Technical Progress as well as Gold Award at the 18th National Inventions Exhibition. 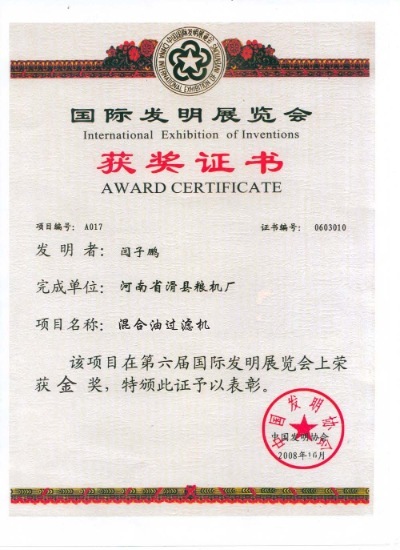 Patented mini high-class cooking oil refining machine unit won golden award on the 8th patent technology exhibition. 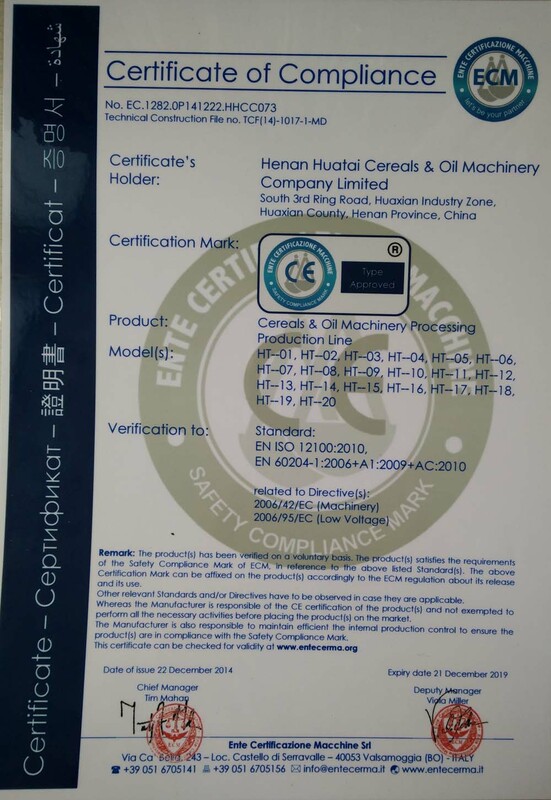 Our oil machines win TOP 10 brand because of excellent product quality and perfect after-sale service, and sell well in more than 30 provinces, cities and districts, and exported to Russia,Kazakhstan,Uzbekistan, Tajikistan, Bolivia, Peru, Bangladesh, Thailand, the Philippines,Egypt, Ethiopia, Nigeria, Congo, Rwanda,Tanzania, other countries and regions, and now we have developed into a major oil machinery manufacturing base in China.